Who loves crumbed seafood but doesn’t want the bread, gluten and carbs that come along with them? 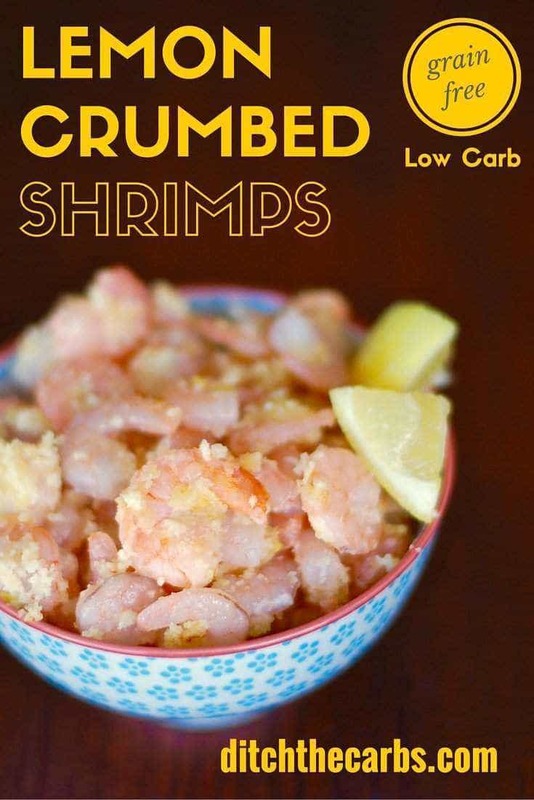 Try these low carb lemon crumbed shrimps for an easy and quick snack, or serve with vegetables or salad and turn this into a complete meal, with a homemade mayonnaise on the side. Crumbed and deep fried seafood is incredibly unhealthy. Not only are they are high in carbs, grains, colours and flavours, but more concerning is the processed and oxidised seed oils they are usually fried in. It’s also scary just how much you can eat at one sitting if you’re not careful, so I decided to develop a recipe that has no grains, no gluten, low carb, no seed oils and really simple and quick. When we start eating real food and say no to unprocessed food, many think we spend hours in the kitchen, we don’t, we just don’t open a packet anymore and a snack is ready. Such a quick, easy and healthy snack, lunch or light dinner. Low carb lemon crumbed shrimps are perfect for sharing. In a bowl mix the almond meal/flour with the lemon zest, salt and pepper. Place the defrosted shrimps in the bowl and stir to coat each shrimp with the lemon crumbs. Heat some olive oil or coconut oil in a frying pan at a medium heat. 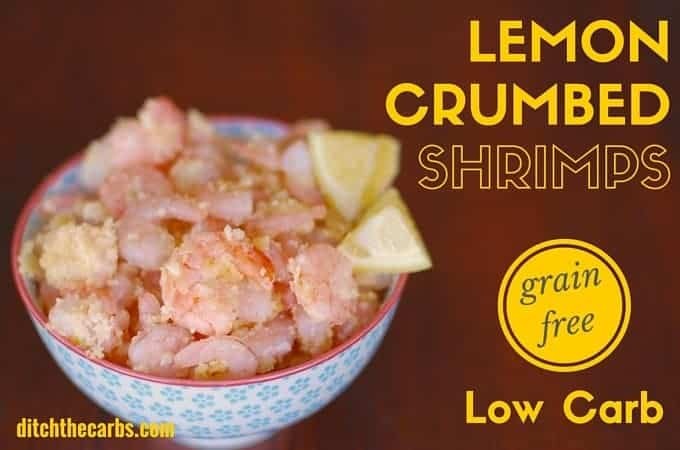 Place the lemon crumbed shrimps in the frying pan and cook for 1-2 minutes on each side. Serve as an appetiser, snack, side dish or a main meal with a wedge of lemon. If you are new here, this page may help you and this page shows you what I keep in my pantry. Thanks for your wonderful, helpful work! Can you use fresh shrimp? I don’t care for eating precooked frozen. Sure! I use the recooked as it is such a time saver. Fresh would be wonderful. 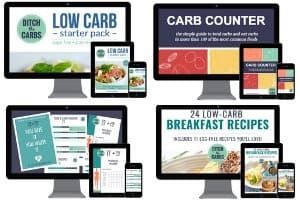 Hi Libby love your site but I was having difficulties seeing the recipes as well. If I open your email from my iPhone the page opens up in Safari and there are ads covering the recipes! It’s fine if I open from Chrome on my phone or on my laptop. But thought I would let you know incase others are having the same problem! Thanks, I’ll pass that on to someone who can look into it. I love shrimp. This sounds like a nice recipe Libby! It is so frustrating finding the recipes!! For example the Lemon Crumbed Shrimps – where’s the recipe?????? Ummm, in the middle of the page! It doesn’t show up on a phone, you have to click ‘read more’ which is hidden between 2 ads… its not immediately obvious.